All y’all cowboy fans can breathe a sigh of relief, Billy the Kid and the rest of his ilk have yet to be forgotten in gaming, despite what the AAA release schedule would have you believe. Hunt is here to carry the torch to the next generation of cowpokes. 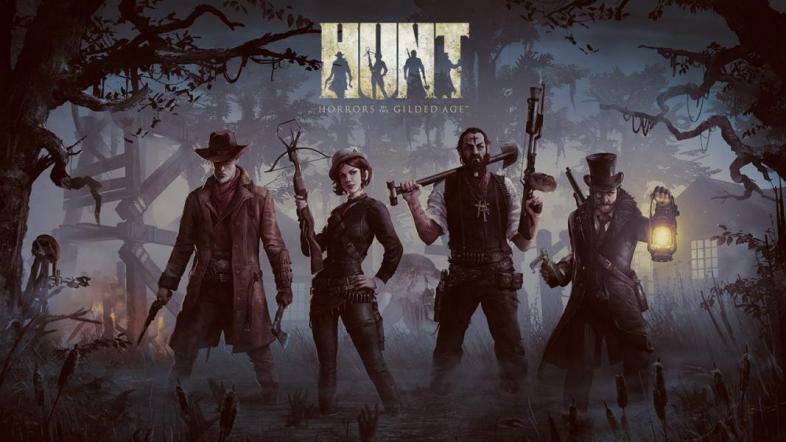 Hunt: Horrors of the Gilded Age is a team based monster-hunting shooter (although there will be a single player option) based in a wild west/Victorian setting where monsters are trying to break through and prevent the world from progressing to the machine age. It blends accurate historical features with low fantasy magic and demonic influence, with a slight hint of steampunk weaponry, but whilst people have compared it to The Order: 1886, there is more than meets the eye to Hunt. 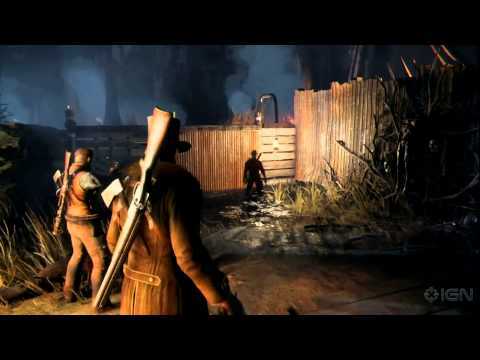 In 2014 the now closed Crytek USA revealed Hunt at E3, promising a closed beta in the fall and a soon to follow PC, Xbox-One, and PS4 release. Since then production has been passed to Crytek’s Frankfurt division, who have since stated that development is going well. Stoic. As they must well know, there is nothing that the gaming community loves more than a complete lack of communication. Anyway, this transition caused an indefinite delay in both releases, and so far there has been no new information about when you can expect to try this one out for yourself. The hype for this game is certainly real, but only for a handful of prospective players, with a few hard-core fans constantly pestering Crytek for information. If you want to stay up to date with all of the current news surrounding Hunt, then never fear, because it could not be easier. There isn’t much, to be honest. You could look at the official website, which is quite nice really, despite the lack of any real information. You could sign up for the closed beta there, too. Or you could keep an eye on Crytek’s official Facebook page – don’t get your hopes up for any Hunt announcements soon, though. If you look closely enough, you can see that the chap two in from the right is drinking his pain away. I too, would be pretty angry if I had to fight my way through hordes of cultists with just a repeater and a shovel. Maybe no-one told him what to expect… Sound familiar? In keeping with the apparent radio silence, very little in the way of footage has been released, and the YouTube channel for Hunt contains only one teaser. You could follow CryEngine’s channel though, and keep your fingers crossed. This is a teaser for Hunt, which shows us incredibly little. It should be a spooky game though… I hope. Unfortunately, the best I can do as far as gameplay goes is point you to the E3 announcement video, and whilst it’s not exactly current, it at least gives you a feel for the gameplay and the atmosphere. A bit like Left 4 Dead, but with moonshine. I must admit, I think that atmosphere is definitely something that Hunt is going to have in spades. Or shovels. As the title suggests, there is a strong occult focus in Hunt, which is interesting due to the fact that the developers have strived to make it as historically feasible as possible. Weapons and clothing would have all been possible in 1880 (maybe not fully accurate, but it’s a game, for Christ’s sake), and set design is reminiscent of games like Red Dead, Call of Juarez, and other staple western games – even Blazing Guns. Characters all speak with exaggerated accents, which hopefully won’t wear thin after 20 minutes; and the world does seem antiquated, as if humanity is trying to leave it behind and progress to the modern age. All of this indicates that Crytek have tried to build a world where the player can enjoy themselves. This is a choice that I agree with, a game doesn’t need a gritty or accurate world to be entertaining, and Crytek clearly understand this. It worked for Left 4 Dead, and it could work for Hunt. One of the ways Hunt sets itself apart from other co-operatives shooters is the aforementioned occult focus. Hunt doesn’t mention a specific story or plot, like many co-op shooters, however something that not too many shooter games like to admit to is that the situations required for them are just plain impossible. Conversely, Hunt embraces the absurdity of the situation, and takes advantage of it by allowing you to use magic yourself at a later stage of progression (allegedly, there is no concrete evidence of this yet). I do think it would fit in with the dark, gloomy, and eerie atmosphere, so I have my fingers crossed. The world that we have been shown so far could have been lifted from Red Dead Redemption: Undead Nightmare. That is most certainly not a bad thing. Cowboys, Zombies, and guns, oh my! Hunt is not looking to add anything that innovative or new to the table, it has all been done before. Left 4 Dead did the co-op horde gameplay, with the option of playing solo; Demon Souls did the crumbling world atmosphere, with encroaching doom ever present; Red Dead did the cowboy setting; and countless games have done the character customisation option. What Hunt does hope to do, is bring all of these elements together to create a fun and interesting game. The team working on character designs all cut their chops working on enemies for Darksiders, so we can expect some hideous creations indeed. Whilst there aren’t many currently announced, we have been promised a veritable mess of monsters, presumably custom designed for each level. So far we have seen the rotting cultists of the Louisiana Swamps, and one boss, called the Witch. The cultists as we have seen them are very similar in style to the rednecks of Fallout 3’s Point Lookout, however I am sure we can expect zombies, animal hybrids, and a whole host of other grotesqueries in future updates. What else does Hunt have to set it apart from every other co-op shooter ever? A few little things, which may or may not work. Respawning isn’t as simple as other games, your character will come back to life… trapped in a coffin, or upside down, or in any other of a number of compromising and uncomfortable positions, which your teammates will then need to free you from. This could be interesting, or a pain in the arse, depending on how well it’s implemented. Character customisation is a large part of the game too, with skills and items being options to consider, as well as cosmetics and weapons. It has not yet been mentioned whether there will be set characters or classes to choose from, but it seems that the way you design your characters leads to naturally defined classes, such as the character with the medic bag being the group healer, etc. One thing that did grab my attention is that we’re supposedly able to recreate fictional characters as our avatars, which I would like to hear more about. Maybe we will be able to design our avatars from scratch? Like every other game of its kind, you level up and progress through ranks by looting weapons and gaining experience, most likely from completing missions (although there is very little information on this). There was also a brief mention of weapons being craftable, which adds a layer of deniability to the idea of a man with a flamethrower in 1880 being unbelievable. Weapons are realistic in the sense that you reload one button at a time, and friendly fire is a large factor influencing your play style. Skills will also be unlocked as you progress, which should allow you to refine your characters as you learn more about the game and how to play it. Oh, and the levels are procedurally generated, too. Which is quite something, I must say. The only thing levels will have in common is that the end boss is the same, but the journey will always be different. This adds a new dynamic to co-op play, or rather takes one away; practice is sacrificed for what should be a fresher, more enjoyable experience. It seems like this is truly a decision made for the sake of the casual gamer. Whilst there are no real demonstrations of how this will work, I for one cannot wait to see how it affects my LAN gaming sessions. We needed to practice enough with Left 4 Dead as it was, and the difficulty has just been kicked up a notch. I’m even reminded of Fallout 3’s Point Lookout, which is far and away my favourite expansion ever… Except for maybe Red Dead Redemption’s Undead Nightmare. You can tell I am wholly unbiased and in no way naturally excited for any cowboy style game. Hunt will be free to play, with microtransactions for cosmetic and aesthetic options. Similar to Team Fortress 2, as a basic example. This could mean one of two things: Hunt will be a completely free experience that you can choose to invest some money into if you really want to, or Crytek will go back on their word and charge for quick levelling and weapons. I know which one I’m hoping for, the single (and multi) player AAA title with no charge is a very tempting prospect. What does concern me is the actual validity of this pricing model. With the current lack of a following, will cosmetic purchases really be sufficient to cover three years of development, at a minimum? I certainly hope so. Free to play doesn’t have to mean free to lose. If the pricing model does end up being similar to Team Fortress 2, expect to see a lot less of these clothes, and a lot more stupid and silly outfits. Which is a shame, because that is one lovely waistcoat. Look at the gilding, just delightful. I am a big Red Dead fan, and have spent a lot of time on Left 4 Dead over the years. So you bet I’m excited for this release, if a release ever happens. The pricing model is something I want to see succeed, and the CryEngine is always fun to play around in. I also like crossbows, which Hunt will have. I’m biased as all hell, but I do think that this is something with a lot of potential. Unfortunately, potential is all it has at the moment, there is no new evidence to suggest that Hunt will be anything like it was supposed to be, but a man can dream, right? Student, Brit, music & video game lover.